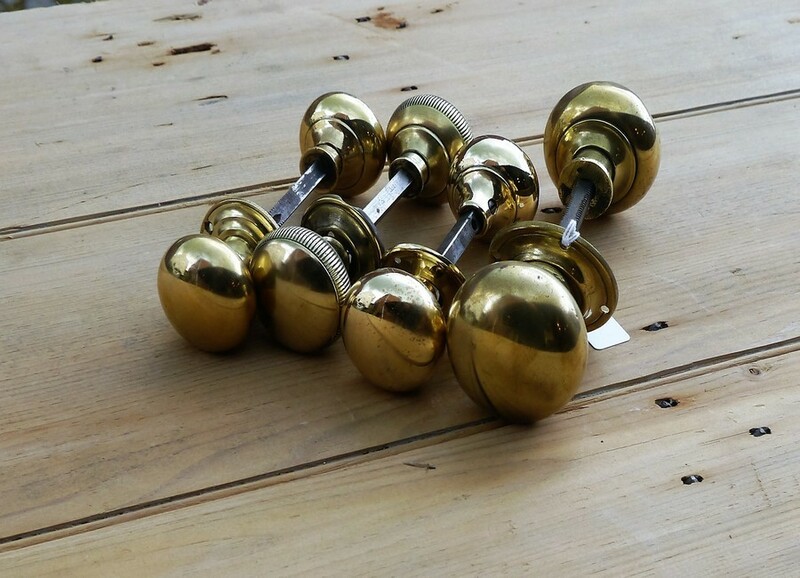 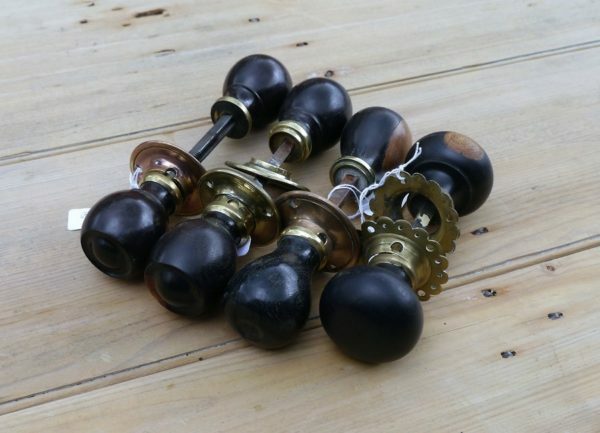 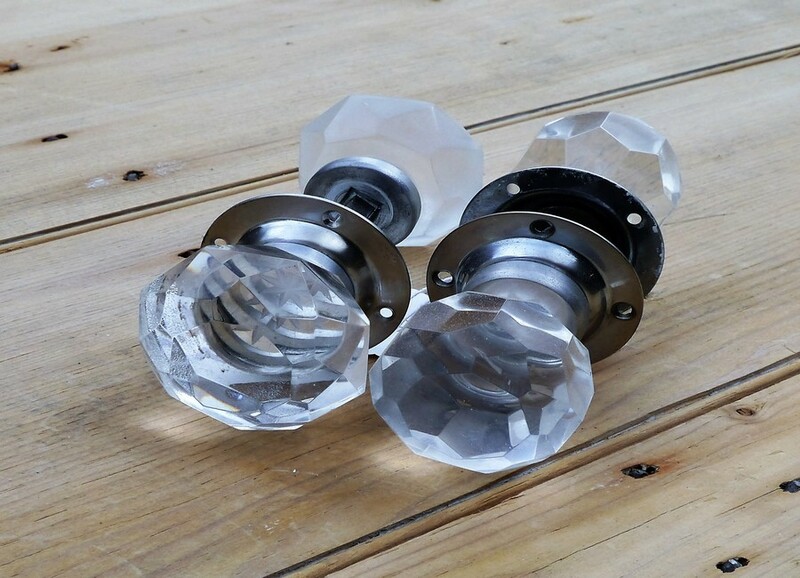 Door knobs - generally come with one back plate as these were made for use with a rim lock so the other side of the knob would sit against the lock. Door Handles - generally come with a back plate either side and to be used with a mortice lock. Rim Locks - these are mostly made from pressed steel or cast iron and would sit on the outside of the door located on the inside of the room. 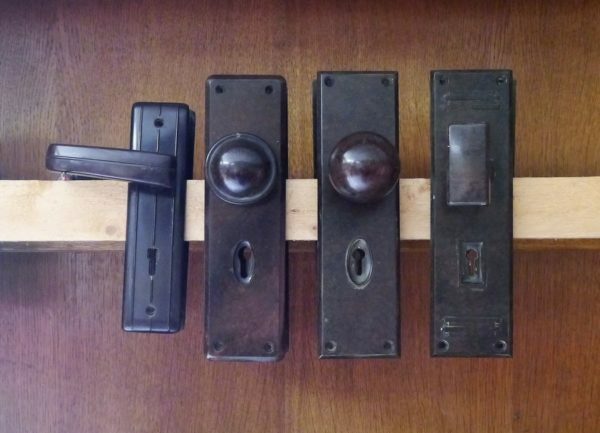 Escutcheons - made from a variety of materials and used on the outside of the door to cover the key hole. 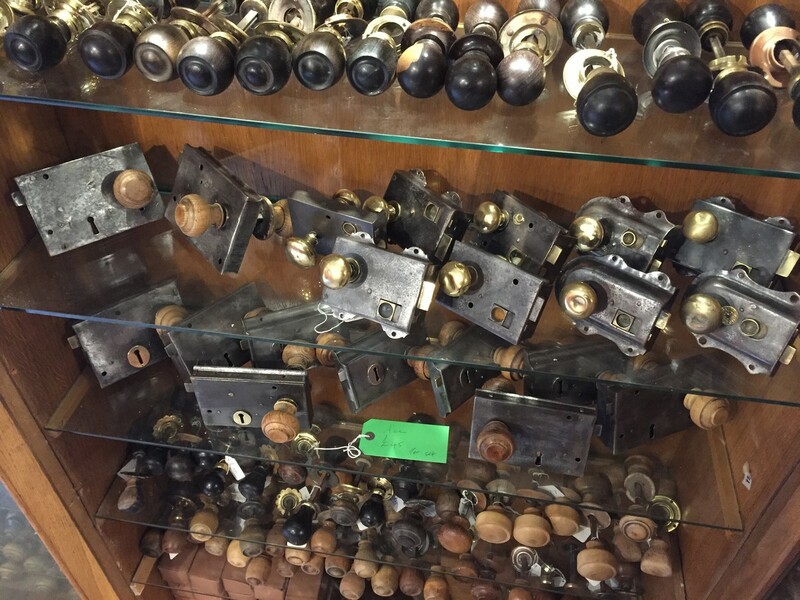 Fingerplates - a decorative or plain plate made from brass, wood, pressed steel, porcelain and many others.